NEPTUNE – A true southern gentlemen from Kentucky, Landon (Lan) Wilson believes it is time for revival in GNJ. As the new Director of Worship, he is just the person to take the lead. 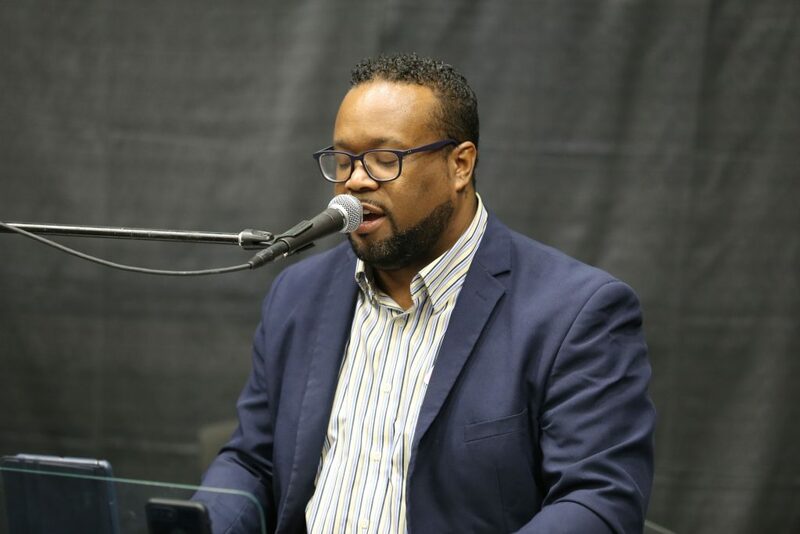 Wilson, who has been in ministry since he was 10-years-old, leading worship in a diversity of denominations, most recently served as the worship pastor at Cross Point UMC in Harrisburg, PA; a multi-cultural, multi-site, multi-generational congregation. He felt called to share his ministry gifts with United Methodists in GNJ after months of discernment and prayer for clarity in his ministry. Wilson felt restless and decided to pray boldly and expectantly; coming before God with confidence. Licensed in the Baptist and Pentecostal denominations, Wilson brings a variety of experience and perspectives with him to his new role. At GNJ , Wilson looks forward to enriching worship in local churches by utilizing and introducing the Breakthrough worship resources. Breakthrough is a resource designed by GNJ leaders to provide easy-to-use best practices so that congregations can re-tune their worship, spend less time preparing the details and focus on what really matters – preaching the gospel to make disciples of Christ for the transformation of the world. Breakthrough includes five worship series which include everything from sermon notes, graphics and videos, small group curriculum, song selections and more. Resources for Breakthrough can be found on GNJ’s website. He suggests that developing strategies for growth and movement will unlock church doors. With open doors and outward reach, churches make room for the Spirit to move and do something new. Following a worship series like the examples in Breakthrough, he says, builds expectation and consistency for parishioners. All church sizes and styles can adapt it to their context and develop more meaningful worship, strengthen a spirit of radical hospitality and emphasize giving as an act of worship. During his first three months, Wilson is visiting local churches and meeting with pastors. He wants to experience and participate in the diversity of worship. He will be joining the Southern Region leadership team.